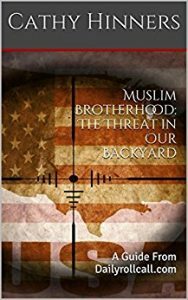 On Nov 19, 2010, a federal court ruling on the status of the Council On America Islamic Relations (CAIR) and other Muslim Brotherhood organizations being designated co conspirators in the Holy Land Foundation trial was unsealed. U.S District Court Judge Jorge Solis, in Dallas TX cited there was “ample evidence” that CAIR participated in a “criminal conspiracy” led by the Holy Land Foundation, Hamas’s main fundraising arm in the U.S. So why, 9 years later is this important? CAIR , in its continued effort to insinuate its ideology via intimidation and frivolous lawsuits , is once again attempting to strong arm school boards to include false and misleading information on Islam in our textbooks. As CAIR rants about any criticism being “Islamophobic”, Americans need to know who CAIR is, which in turn, will then shed light on why CAIR wants to silence critics by using the term Islamophobia. In preparation for the Holy Land Foundation trial, the FBI raided homes of known Hamas members which resulted in a treasure trove of documents which included a plan for the eventual take over of America titled “An Explanatory Memorandum on the General Strategic Goal for the Group in North America”, which was presented, and accepted into evidence in this trial. Other documents introduced by the government showing CAIR and its founding chairman Omar Ahmad have operated as key members of Hamas’ U.S. wing, known as the “Palestine Committee.” In addition, FBI wiretaps and agent testimony have placed both Ahmad and CAIR’s acting executive director – Nihad Awad – at a secret meeting 2 decades ago with Hamas leaders in Philadelphia. Meeting in a hotel room, participants hatched a scheme to disguise payments to Hamas suicide bombers and their families as charity. 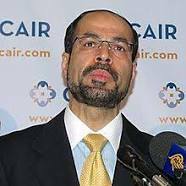 CAIR’s acting executive director – Nihad Awad – at a secret meeting 2 decades ago with Hamas leaders in Philadelphia. Meeting in a hotel room, participants hatched a scheme to disguise payments to Hamas suicide bombers and their families as charity. This is the same Nihad Awad who publicly urged Muslims in Tennessee to attend a school board meeting on April 2 in Sullivan County Tennessee to face “Islamophobic opposition”. This is also the same Nihad Awad who claims he is “a supporter of the Hamas movement”. Hamas is a designated terrorist organization here in the U.S. This isn’t about fair representation of Islam in public school textbooks. This is about power, infiltration and indoctrination. The following, which is most revealing and threatening, is an excerpt from the above mentioned “Explanatory Memorandum” that was used as evidence in the Holy Land Foundation trial. On March 26 2019, in a landmark case in California, CAIR was removed from its association with the San Diego Unified School System, after CAIR was found to be running a discriminatory, unconstitutional propaganda program in its schools. According to this Clarion Project article, the program in question gave Muslim students special privileges and gave CAIR the power to change the district curriculum to make sure Islam was looked upon more favorably. Sound familiar? CAIR came to Tennessee to silence Jane Thomas, a Board of Education member who opposed specific false information in the “My World” textbook. Muslims want you to believe their god is the same as the Christian God. Mrs. Thomas disagrees, and CAIR wants her hushed. CAIR wants no opposition to their version of religion, despite the facts presented within their own doctrine. While Allah may mean god in Arabic, Allah is not the Christian God, yet Muslims are determined to make you believe it is. CAIR came to Tennessee to accuse Jane Thomas of being Islamophobic, and to make sure those present at the meeting would isolate her, and after seeing her being publicly chastised, they would be afraid to support her , or speak out. CAIR, who is designated an un-indicted co conspirator in funding Hamas suicide bombers to kill people, and then paying their families as gratitude, has no place in our country, let alone deciding what the curriculum is in our own schools. Don’t be concerned with what Jane Thomas says, be concerned a foreign, corrupt organization wants her silenced. ← Previous Previous post: The Buckle of The Bible Belt..May Soon Be Down Around Its Ankles.